BITTERNESS AGAINST GOD | Thoughts of a Calabarboy. 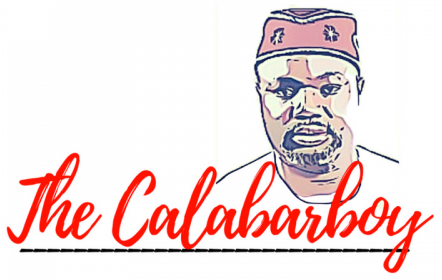 BITTERNESS AGAINST GOD – Thoughts of a Calabarboy. The challenge here is that roots don’t form of themselves. There must have been something planted, a seed perhaps. So bitterness is the evidence of something else that was allowed to grow into a root. Roots are usually not evident, as they are below the surface, making them sometimes difficult to ‘uproot’. This is a picture of bitterness I want you to get clearly. A lot of times people who harbour bitterness were never really conscious of when the seed was planted or even when the root was forms, until they begin to see its manifest fruits. Having established that, I want to state here that bitterness in any form, against any person is very poisonous to you. When you harbour it and do not quickly deal with it, it begins to destroy your life gradually. What then when the object of this bitterness is God? Or you don’t believe me? I sat in my bathroom one morning subjecting my thoughts to God and allowing Him “search my soul”. I suddenly heard Him say to me “Reginald, you are bitter against me.” When I hear my Father speak that way to me, I get it! I get it because all the pictures explaining His position quickly form in my spirit, leaving no room for doubt about what He means. You see, there were many things I was hoping He would have done for me, or that by now I should have accomplished in my life but haven’t. This has led to a silent resentment due to unanswered prayers, and I have buried this with all the spiritual gymnastics I am used to – church and other spiritual activities. Meanwhile, underneath the soil of my heart, the root of bitterness takes form. I had to unearth the issues and uproot that thing from my heart. It was as though my soul became ventilated. Many of us are silently harbouring bitterness against the Father because of unanswered prayers, or a situation we find ourselves and do not believe we should because we are children of God. These unanswered prayers or unfulfilled expectations are the seeds we have allowed to grow into roots in our hearts. If this is you, you need to quickly deal with it. God remains your only hope and you cannot curse your help and hope. Above all, God is sovereign. You have to face Him with that reality and brokenness of spirit, so your healing can come and you get clarity for your life and condition. Friends, bitterness will open the door of your life and lead you to a battered spirit, persistent anger at life, physical affliction like disease, and finally an unfulfilled destiny. Here is the real challenge: YOU HAVE TO DEAL WITH IT YOURSELF!